Princess Eugenie has shared a sweet tribute to her beloved “papa” Prince Andrew on his birthday with never-seen-before photos and a special video she filmed herself on the morning of his 59th birthday. The 28-year-old took to social media on Tuesday (local time) to wish her dad the best, sharing a collection of adorable family snaps and candid photos of the prince. From photos of him as a baby to snaps of him in his young adult years and more recent personal photos from Eugenie’s own collection, the slideshow selection showed the royal looking at ease and happy around his family. In the first photo, a young Andrew can be seen propped up in his mother Queen Elizabeth’s arms, his chubby cheeks making for an exceptionally beautiful photo. Another shows the doting dad walking Eugenie down the aisle on her wedding day in October 2018, and a final snap, believed to be taken by his youngest daughter and shared from her private collection, shows Andrew smiling and enjoying some down time in a quiet restaurant. Showing her adoration for her papa, Eugenie paired the beautiful photos with an equally adorable message to Andrew on his special day. “Happy birthday to you Papa… We are so proud of you in everything you have achieved in your 59 years!” she wrote. Making her dad’s day that much more special, the princess also shared a short clip of the Grenadier Guards performing for the prince on the morning of his birthday. The short video, taken by Eugenie herself, shows Andrew standing to the side as the guards perform a rendition of ‘Happy Birthday’ just for him. The posts have received much attention from royal fans who took the opportunity to share their own birthday wishes with the prince — and a few even went as far as to label him one of the best-looking royals in the family. Commenting on the video another added: “Wow, one can only dream of a magnificent moment like that. Happy Birthday to your father”. While a third said: “I hope your papa has had a fabulous day”. Princess Eugenie’s latest message to her father follows an adorable post she shared earlier the month of herself as a toddler with her mum Sarah Ferguson. Taking to Instagram, the 28-year-old posted a childhood picture of the two, both decked in colourful winter gear. “All this snow got me remembering how cool mum and I were in the 90s #flashbackfriday @sarahferguson15,” she wrote in the caption. Are you a fan of the royal family? 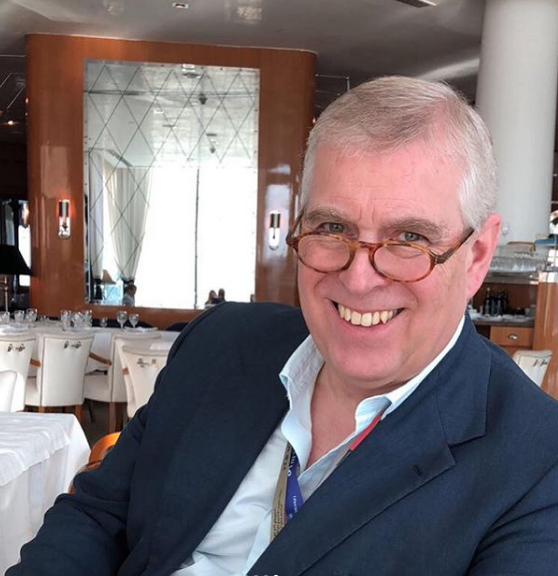 Do you have a message for Prince Andrew for his birthday?